Polycystic Ovary Syndrome (PCOS) is the most common endocrine disorder in reproductive aged women, affecting up to 10% of this population. It is characterized by hyperandrogenism, polycystic ovaries and oligo- or anovulation, and is often associated with insulin resistance and weight gain2. N-acetylcysteine is a popular supplement that is used in PCOS patients to improve insulin resistance, ovulation and and decrease androgens. Insulin resistance is the decreased ability for cells to respond to insulin, which is a hormone used to pull glucose from the blood into the cells, therefore regulating blood sugar. If our cells are not responding to insulin as they should be, our blood sugar levels will increase and our body will secrete more insulin to deal with this. This leads to increased baseline levels of insulin, and because our cells are not responding well we have excess glucose in the blood that ends up being stored in the liver as glycogen. When these stores become full, our body stores excess glucose as fat and triglycerides may increase. Signs of insulin resistance include weight gain around the waist, difficulty losing weight, reactive hypoglycemia, acanthosis nigricans (dark patches of skin usually found in folds of the body such as armpits or groin) and skin tags. Approximately 50-70% of women with PCOS experience some degree of insulin resistance due to defects in the post-binding insulin signaling5. Insulin has a direct action on steroid production and ovulation as it amplifies the action of luteinizing hormone, increases androgen production and may contribute to follicular arrest4. Therefore, hyperinsulinemia may contribute to hyperandrogenism which exacerbates the symptoms of PCOS such as hirsutism, acne and anovulation5. Impaired glucose metabolism also increases the risk of diabetes mellitus, dyslipidemia, cardiovascular disease, cancer and has a significant impact on female fertility7. N-acetylcysteine (NAC) is an anti-inflammatory nutrient that is a precursor to glutathione, which is a very powerful antioxidant that is important for reducing oxidative stress in the body, something that PCOS patients often experience at increased levels. Increased oxidative stress can lead to increased androgens and inflammation. In PCOS patients, NAC is can be used to increase insulin secretion from pancreas and improve insulin receptor sensitivity to glucose by increasing cellular levels of glutathione2. Studies have shown that by decreasing insulin, we can decrease testosterone and androgen levels, which helps to improve symptoms of hyperandrogenism such as acne and hirsutism (male pattern hair growth on the body). In some studies, it was found that NAC improved insulin resistance and lipid profiles more effectively or was comparable to Metformin 3,6, which is the most common pharmaceutical prescribed for blood sugar regulation in diabetic or PCOS patients. Metformin works by decreasing the glucose output from the liver and lowering fasting insulin, however it also affects the absorption of vitamin B12 and may have adverse side effects such as nausea, diarrhea or bloating. Additionally, NAC is comparable to Metformin at improving symptoms of hyperandrogenism and anovulation6, and can therefore help to ameliorate acne, male pattern hair growth on the body, hair loss on the scalp and regulate the menstrual cycle. 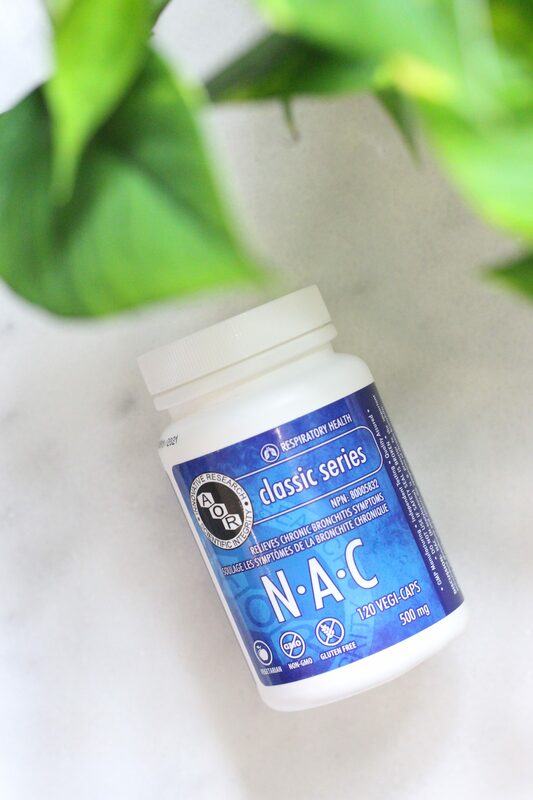 NAC has also been shown to protect cells from oxidative damage which provides long term benefits for insulin secretion, sensitivity and metabolism. By increasing intracellular glutathione, NAC can be used to improve egg and embryo quality1, which is beneficial for PCOS patients who are looking to conceive in the future. It is important to note that although NAC can improve insulin receptor sensitivity and blood glucose levels, diet and lifestyle are the most fundamental factors when it comes to PCOS. Consuming a low glycemic index diet will ensure blood glucose levels are more stable, which decreases the amount of insulin required to be secreted to shuttle that glucose out of the blood and into the cells. Therefore, no supplement will be able to effectively improve insulin resistance while consuming a high glycemic diet. Supplements are often used as an added benefit after the fundamentals of health are put into place. 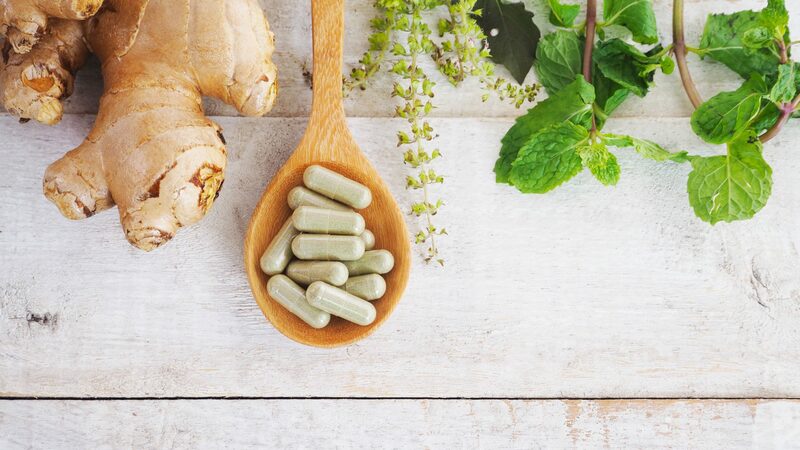 It is important to talk to your Naturopathic Doctor before incorporating new supplements into your daily routine to ensure it is safe, the correct dosage and if it is the right supplement for you.